Ezequiel D. Gherscovici TF, Lic. TF, PT, Dip. MDT, MSc. In 2001, Mr. Gherscovici was introduced to the McKenzie Method of Mechanical Diagnosis and Therapy – MDT. As a result, in 2003 The McKenzie Institute International and Mr. Gherscovici organized the first Part A course of the International Post Graduate Education Program for Spanish speaking Health Care Professionals. As a direct result, for the past 8 years, Spanish speaking colleagues from Argentina, Chile, Colombia, Guatemala, Mexico, Peru, Puerto Rico, Spain, Uruguay and Venezuela have been trained in MDT. Ezequiel has also helped colleagues introduce the inaugural Part A course in other Spanish speaking countries such as Mexico in 2006 and Spain in 2007. In 2008, Ezequiel and Mr. Lawrence Dott, CEO of the McKenzie Institute International, co-founded the McKenzie Institute International – Argentina Branch. In 2011, Ezequiel is contributing to the introduction of the inaugural Part A course in Chile and Peru. Robert is a graduate of the Georgia State University Physical Therapy program. After advanced studies in New Zealand with the McKenzie Institute International in 1991, he was granted the McKenzie Institute International Diploma in Mechanical Diagnosis and Therapy of the Spine. He was subsequently named to the teaching faculty of the McKenzie Institute. He has presented at numerous scientific conferences and has taught post-graduate courses throughout the world on the assessment and management of spinal pain. 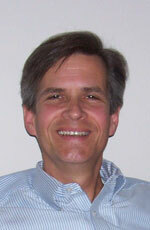 He has participated in award-winning published research on the diagnostic accuracy of the McKenzie assessment process. 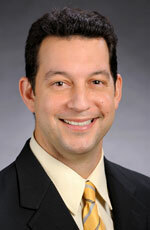 He is currently the Director of Rehabilitation, Resurgens Orthopaedics and Resurgens Spine Center in Atlanta, GA, USA. 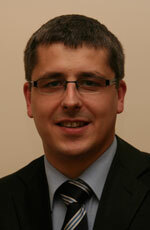 Adrian Wozny graduated from the Medical University of Lodz, Poland in 2006 and received his Msc degree as a PT. He than was accepted for further PhD programme to the Medical Rehabilitation Department where he was assigned to Prof Jolanta Kujawa as his promoter. Simultaneously he began to work in The Provincial Centre of Orthopaedics and Rehabilitation focusing on mechanical disorders of the musculoskeletal system. His main focus in research is investigating spinal pain and mechanical extremity disorders. Currently he is working on objectively analysing the outcomes of MDT therapy in patients with low back pain. He has finished many postgraduate courses such as: PNF, Mulligan Kinesiotaping and manual and manipulative therapy. In 2009 he has successfully passed his diploma programme and gained his diploma in Mechanical Diagnosis and Therapy (Dip. MDT). He is a lecturer at the Medical University in Lodz and teaches anatomy, manual therapy and modern methods of physiotherapy. 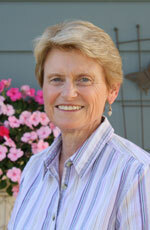 Kathy has been involved with the McKenzie Institute for more than 30 years. She sponsored the first McKenzie course in the US in 1977, served as a a founding member and original Chair of the Board of Directors of the US from 1983-1990, was Senior Teaching Faculty 1984-1994,served as a member of the International Advisory Committee to the Board of Trustees of the McKenzie Institute International 1999-2000. Currently she is an Associate Faculty member and serves as an examiner for the McKenzie Credentialing and Diploma examinations, a distance learning educator for the Otago University component of the Diploma program, serves as a member of the International Education Committee and as Student Advisor for the US APTA recognized Fellowship in MDT. She was awarded the McKenzie Institute International Extension Award for her contributions to institute Education Programs. Kathy is currently in clinical practice in Long Beach CA. She received her degree in Mathematics from Rutgers University in 1972, Certificate in Physical Therapy from Columbia University in 1974, Certificate in Advanced Curriculum in Orthopedic Physical Therapy, 1980, and Diploma in Mechanical Diagnosis and Therapy, 1991. She has worked in a variety of clinical situations, lectured around the country and been active in numerous professional organizations.